The expert network Consult Team Group LLC provide practical and efficient strategies in the areas of immigration, accounting and tax planning, property management and administration and insurance for those who wish to start a new life or business in the United states. 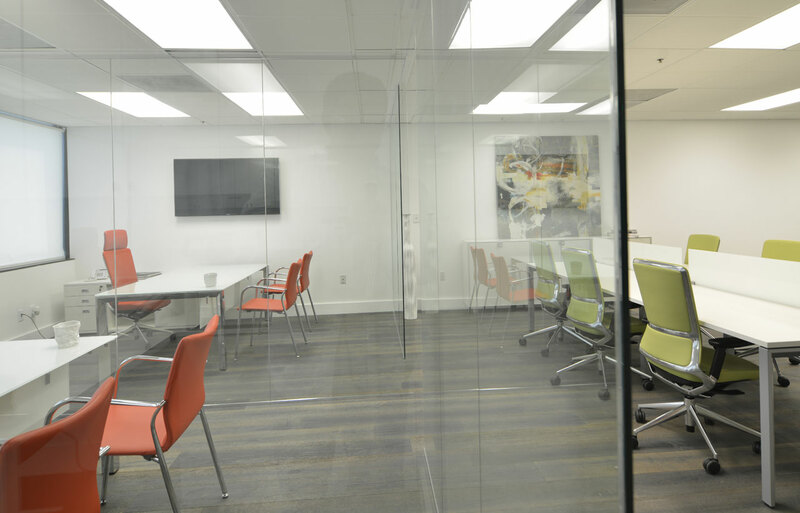 From the different offices which they have in the country, they invest their efforts into doing whatever is necessary to keep families together and help them find their way in the USA. 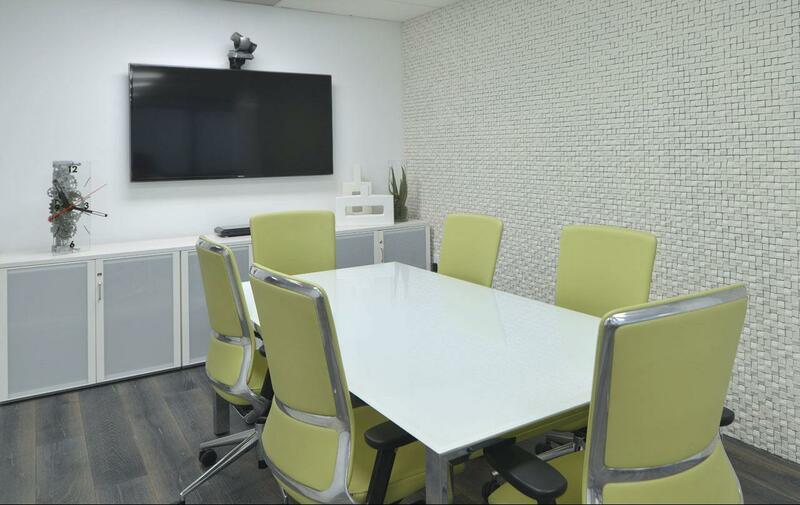 Actiu has collaborated by equipping the Miami offices, where they have created a fresh and light environment, characterised by the white and green which represent the corporate colours. 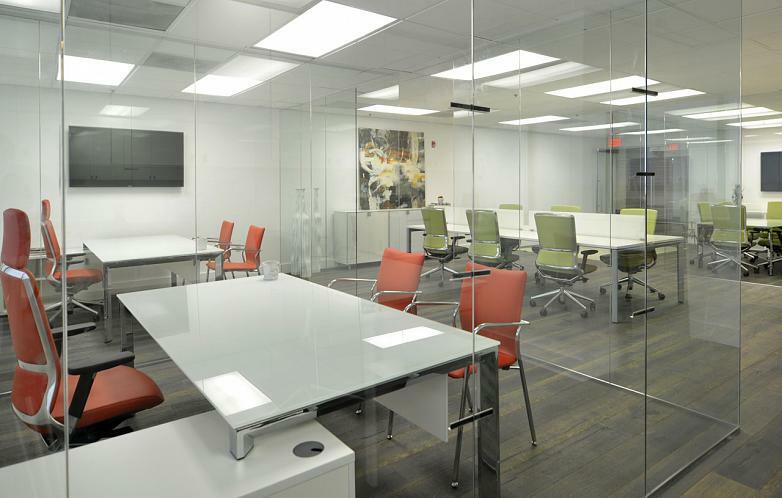 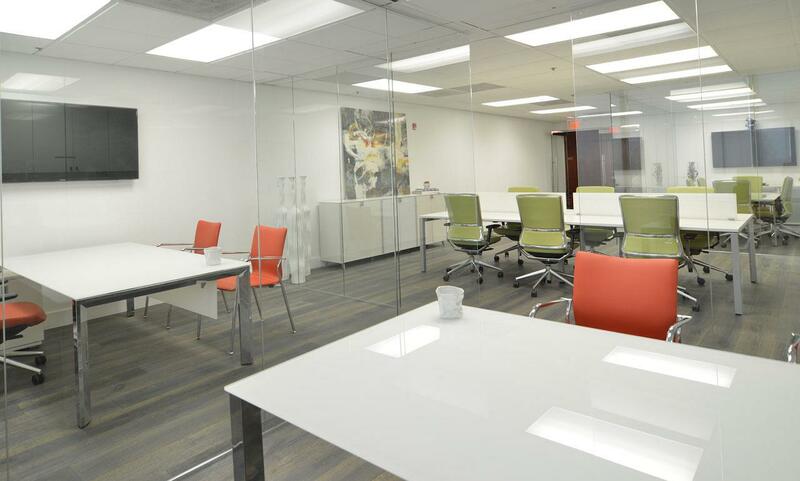 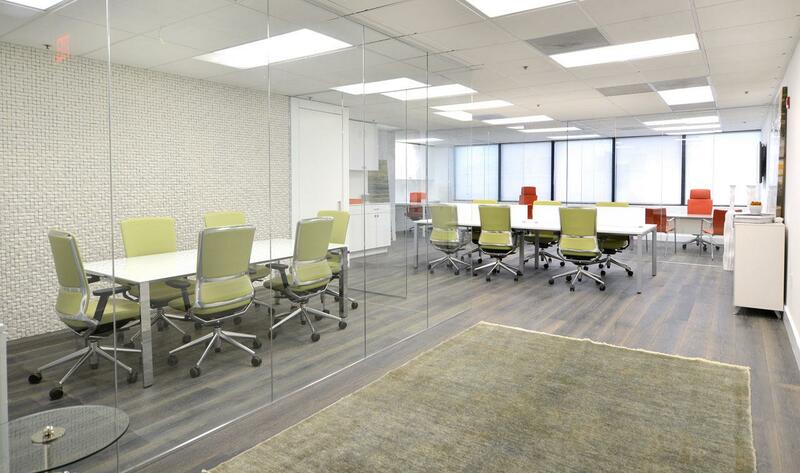 Although the installation was designed under the concept of an open office, spacious and with all the workstations sharing the same space, transparent glass has been used to separate certain areas, such as offices or meeting rooms. 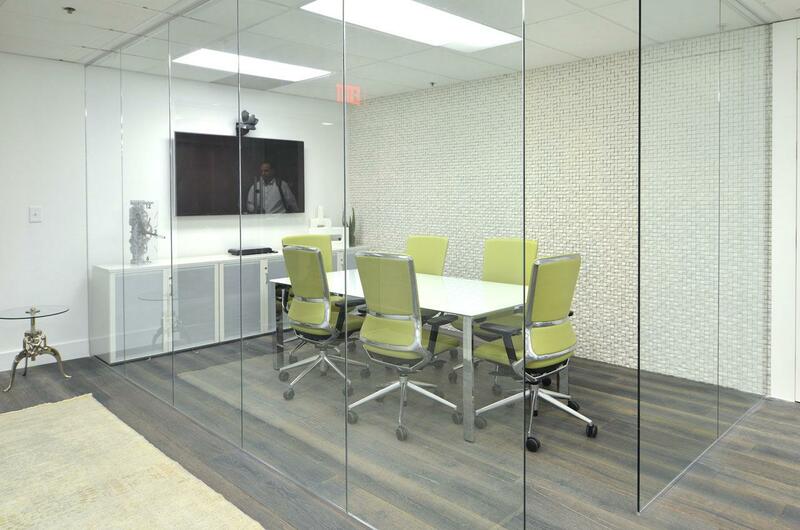 The aspect is of an open room, without visual barriers, but at the same time maintaining privacy of certain environments. 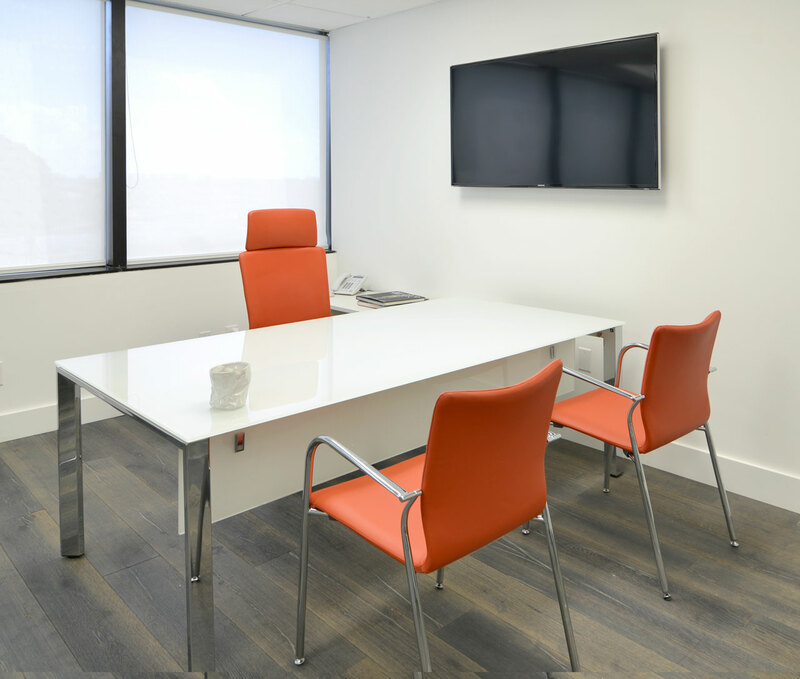 The meeting rooms are presided over by the elegant Vital Plus desk, with a finish in translucent glass for the top and chrome for the legs. 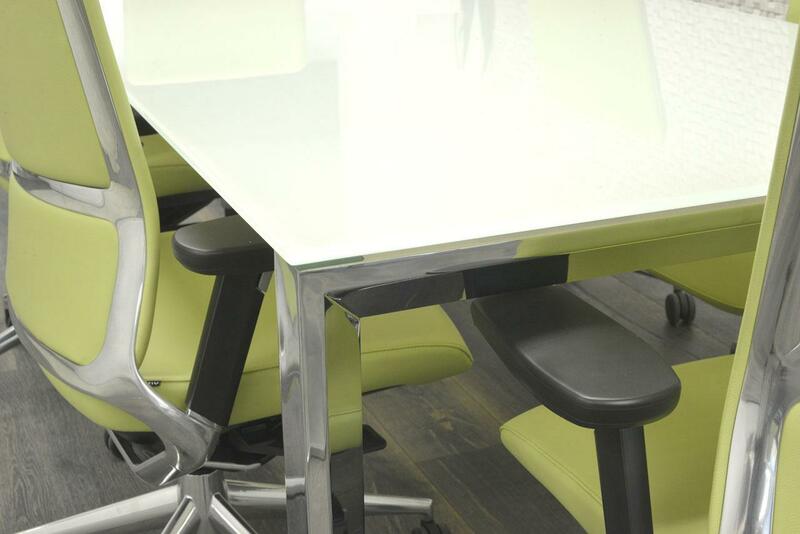 Around this, are six TNK 500 chairs, upholstered in pistachio and with a metal structure visible on the back. 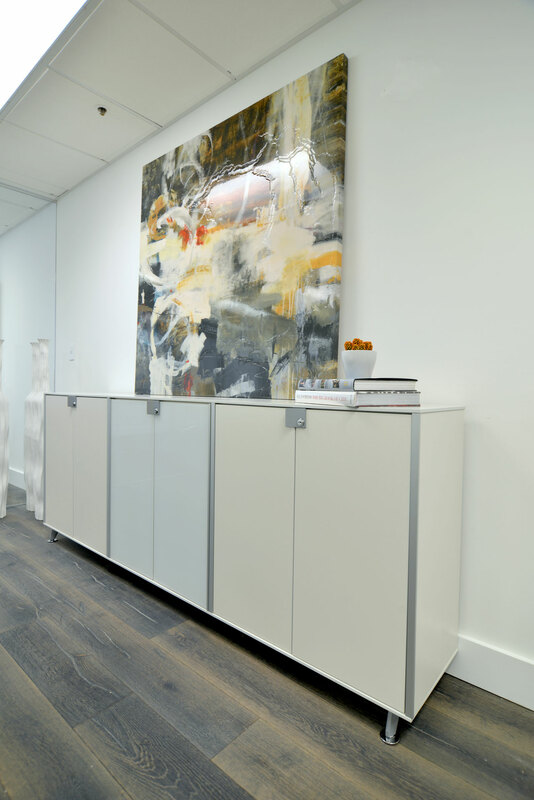 A filing cabinet with glass doors, medium height, completes this room, belonging to the program of Modular cabinets. 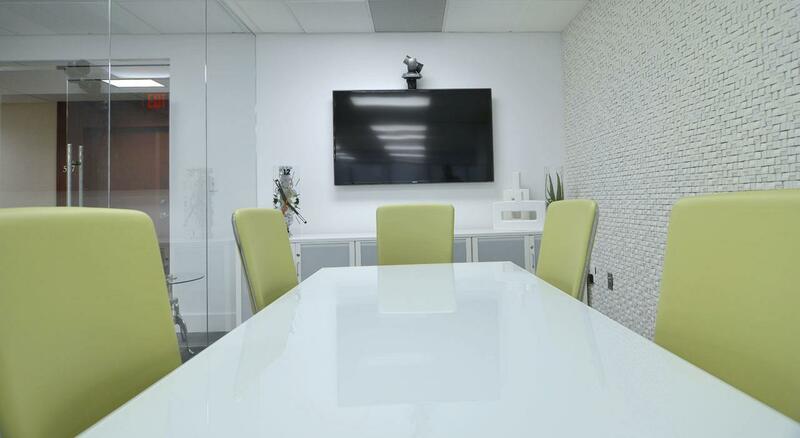 Lightness has been sought through the whole equipping of this installation and has been achieved through a combination of glass and chrome metal, which in addition to the light appearance, provides a touch of distinction. 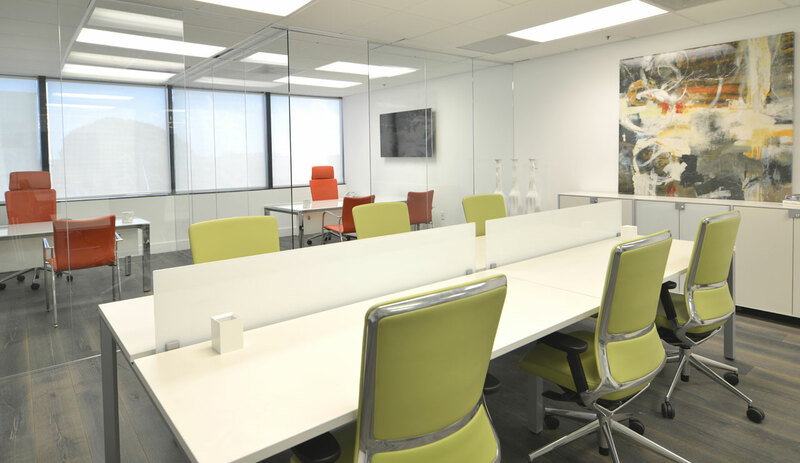 The same combination of furniture selected for the meeting rooms has been used for the operative positions. In this case, however, due to the numerous places needed to cover, the Vital Plus desk has been chosen in the twin desk option with a longitudinal screen. 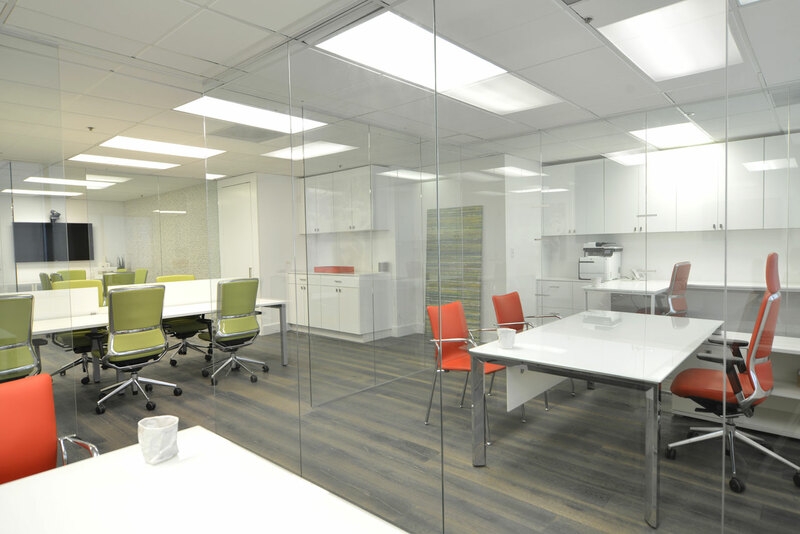 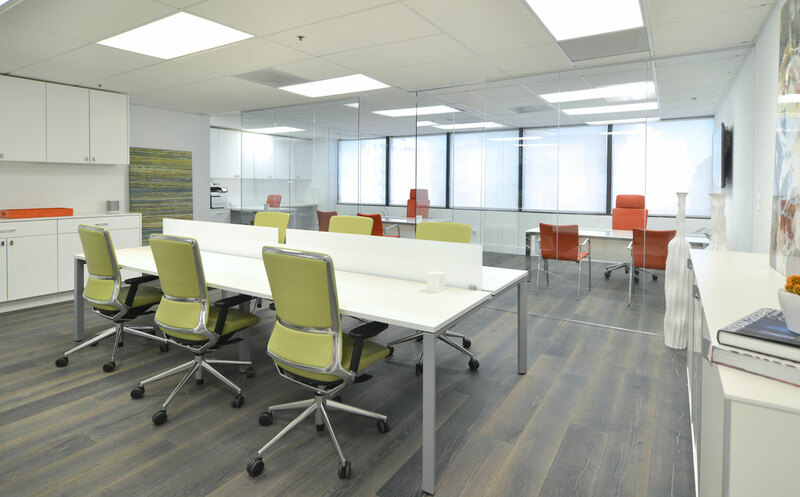 The offices have been distributed using glass partitions, which give the sensation of open space as mentioned before, but guarantees the soundproofing of the rest of the rooms and privacy to carry out certain procedures which require individual attention. 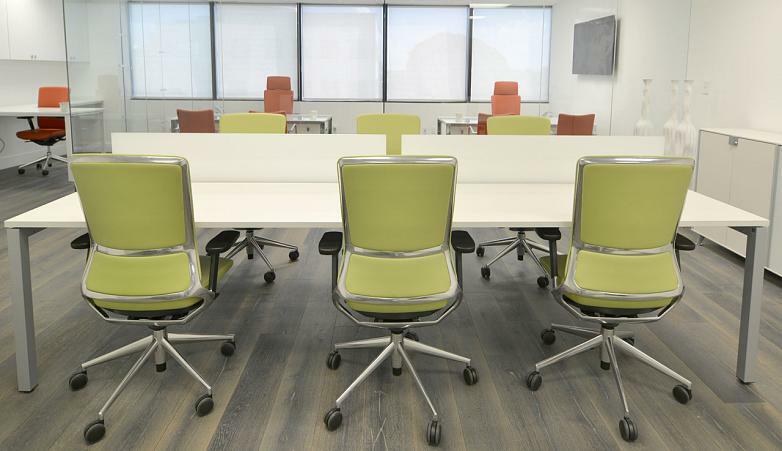 The colour of the chairs mark the difference between the executive offices and the rest of the installation. The management TNK 500 chair, as well as the Ikara visitor chair have been upholstered in warm shades. 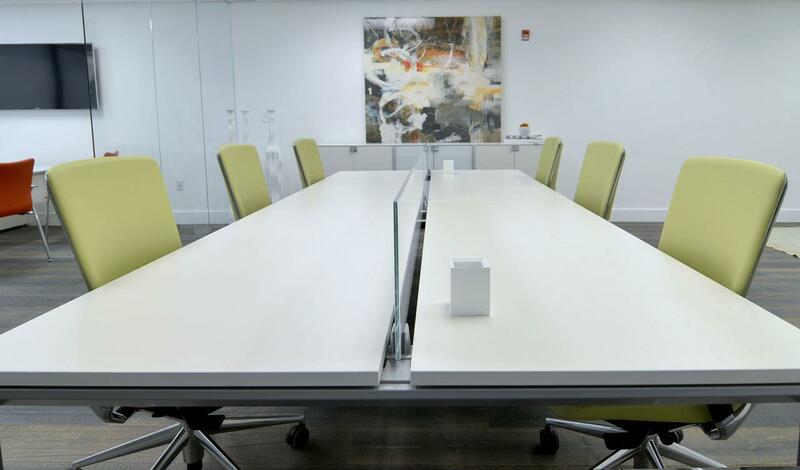 The Vital Plus desks, with a safety translucent glass desktop and chrome legs as in the meeting rooms, but in this case with a Buck support wing, which provides space for filing. 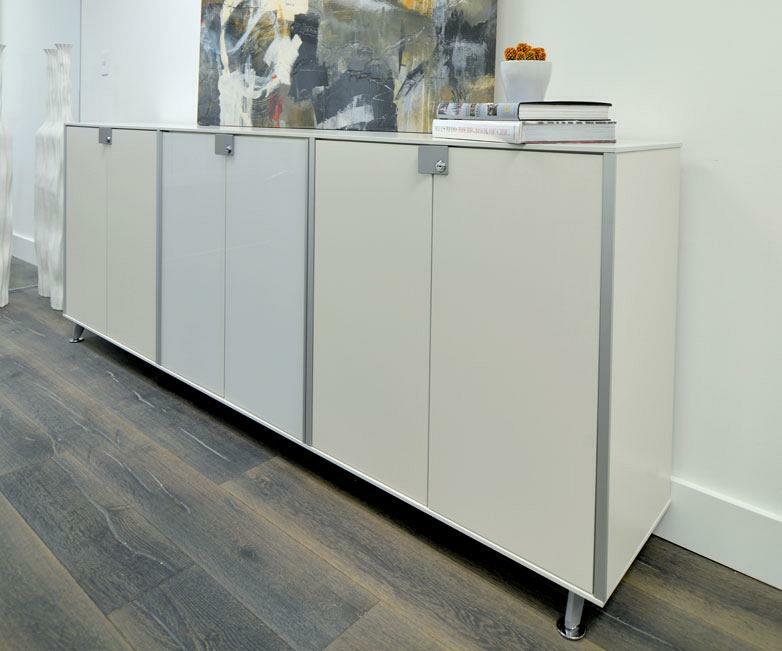 Another piece of furniture used to generate filing is the Block cabinet, in white and with a metal frame, to match the rest of the installation. 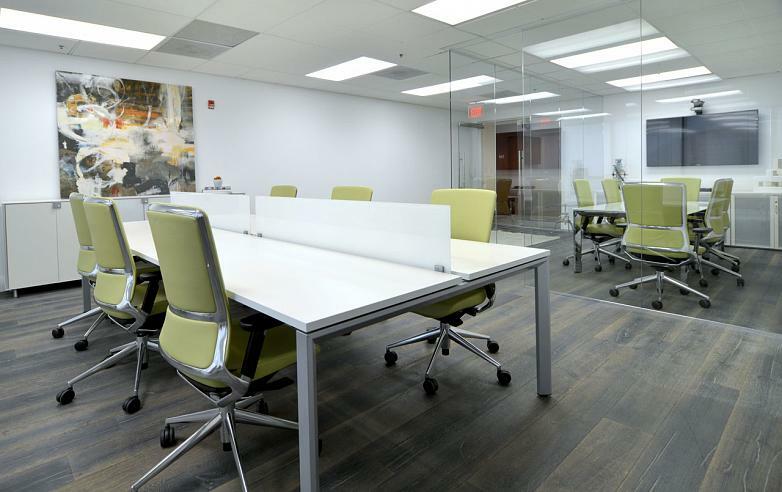 The result is an office with elegant aesthetics achieved by a combination of furniture, materials and colours.